I am a chef who has worked at some of the best restaurants this country has to offer. I have cooked in many various locations around the world and have had the Honour of cooking for our royal family. My friends and colleagues have always said ‘I wish I could have you at home; it would be great to have a chef at home’. Well, now you can! As a nation, we are getting busier and have so many more demands on our time. It’s difficult to be able to cook fresh homemade food every night. I asked myself why there isn’t a solution which means we can eat fresh, quality food without having to dedicate lots of time to creating it from scratch ourselves. I’ve spent a lot of time talking to people about their lives and how food plays a part in that. We all seem to have the same challenges; we have to divide our time between busy jobs which often mean we get home late, children to care for and ferry around to after school clubs, travel to and from work, hobbies, fitness and sports…… The list goes on and we’d quite like to get some sleep and a little down time occasionally!! We just don’t have the energy left to cook, however, a lot of us still want to give ourselves and our families’ good fresh food. I decided to start a business which means that you now can! A unique service where you can order restaurant quality meals to your door. Chef James will provide you with affordable meals created with our promise. You’ll get great restaurant quality fresh food without having to spend restaurant prices. We hope you try us! No more guilt of takeaways and processed food and that heavy unsatisfied feeling so many of you have told me about. 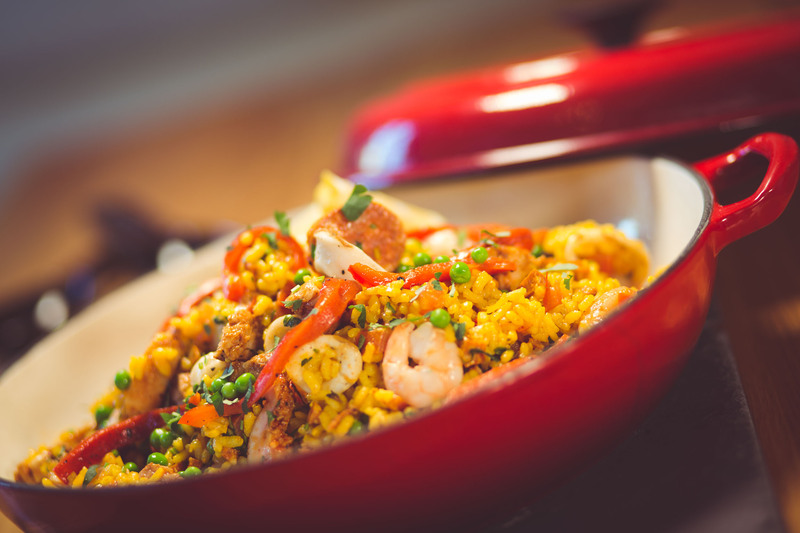 Just warm up your Chef James delivery, kick back and enjoy your evening! ALL MEALS WILL BE MADE BY ME IN MY KITCHEN; I’LL BE DELIVERING FROM MY KITCHEN TO YOURS! 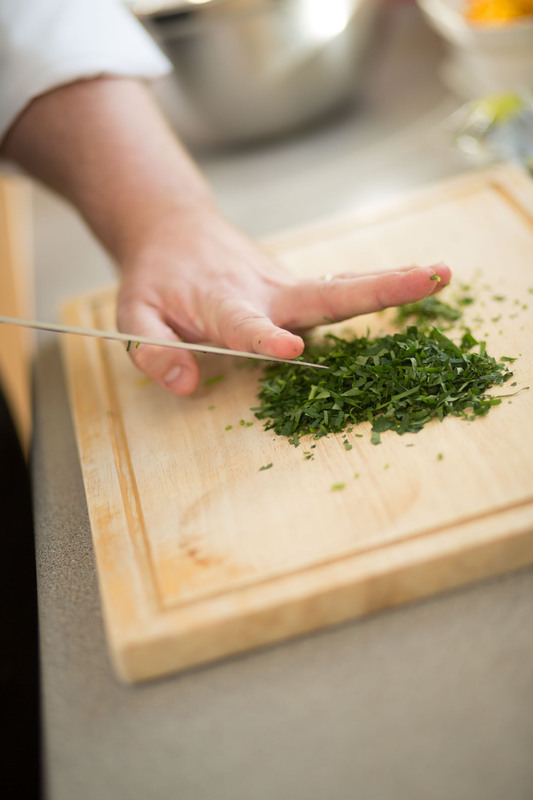 All Chef James’ food is made authentically, using local high quality produce where possible and cooked using traditional cookery techniques. 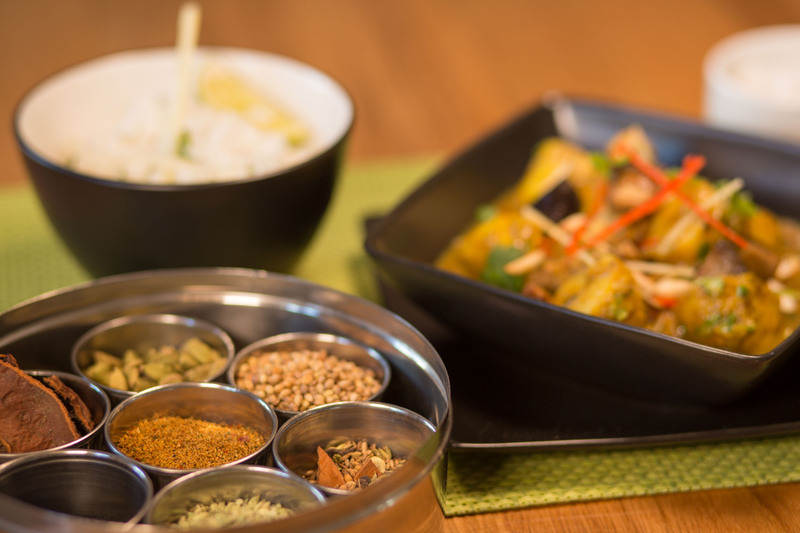 Everything is prepared in house, from butchery, homemade stocks and sauces, curry pastes and spice blends. Texture is so important in food and you will be delivered finishing and topping ingredients separately to sprinkle on just before serving. This really makes all the difference both from a taste point of view but also makes them look incredible! This is a classic curry which I make by grinding over 10 spices including Chef James’ own blend of garam masala, ginger, lemongrass, shallots and green chillies together to make a fragrant paste. The paste is then cooked with the Chicken Cooked on the bone, before the bone is removed. You then get a wonderful gelatinous curry. The curry is simmered with coconut milk until the chicken is moist and falls of the bone and finished with dark soy, fresh lime and coriander. 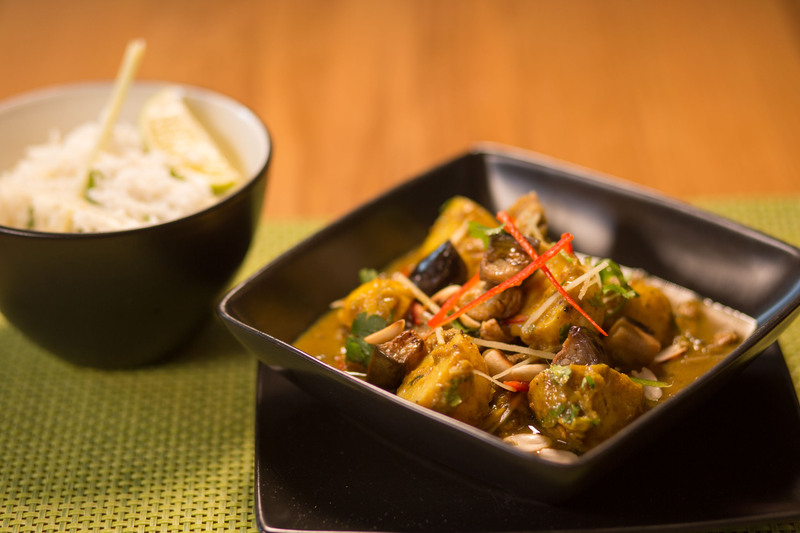 This dish is served with new potatoes also cooked in the curry to soak up all those aromatic flavours and finished with sesame roasted aubergine, toasted peanuts and fresh ginger strips. If you want a delivery on Tuesday, Wednesday, and Thursday – you need to order by Saturday 5pm. Why in advance? This is because I want to make your food the very best it can be and for you to have the freshest food. So straight after your order, I phone my local suppliers and order the ingredients to make your meal. They do not deliver on a Sunday. 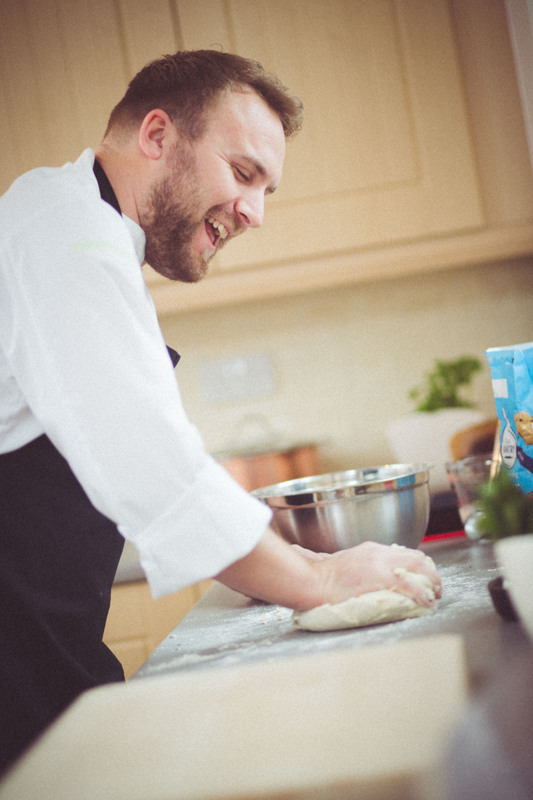 ***Please note – I will not deliver on a weekend as I will be doing Cookery Workshops, for the weekend I will deliver on Friday night. Ingredients come to me fresh on Monday morning. 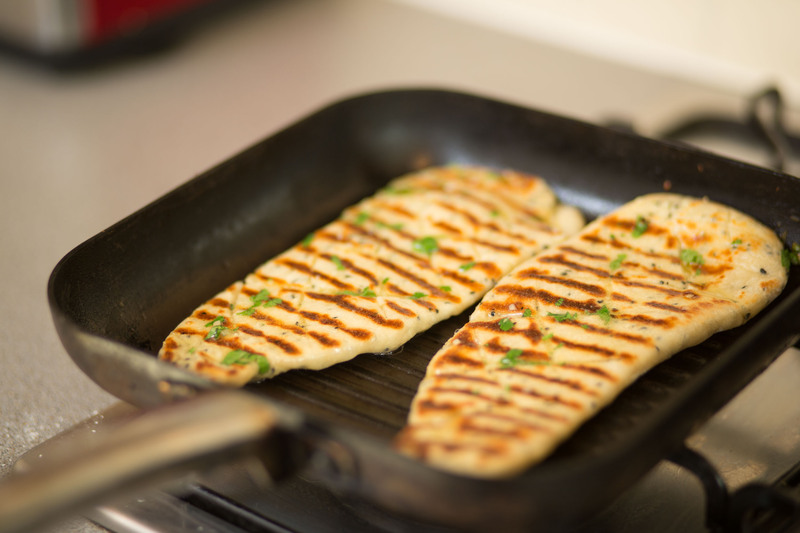 I then cook and prepare them and allow the flavours to round off and balance. 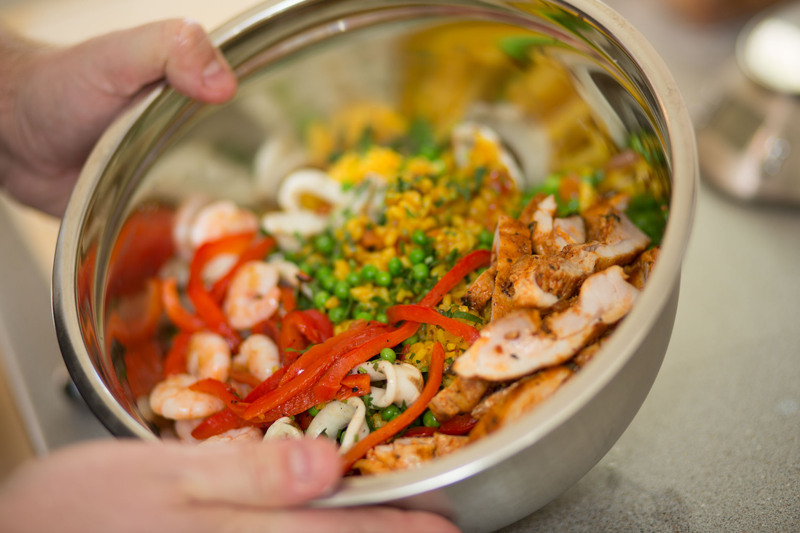 Tuesday I will then cook the rice and garnish items and pack your meals on the day of delivery into our recyclable packaging and deliver them to you that night! Alternatively following the same process above, if you want a delivery on Friday, Saturday, Sunday or Monday you just need to place your order by Wednesday 5pm. When you load Chef James page and go to the order section, when I go live in May, depending on the day it is, the order cycle will automatically only show you the options that are available for delivery. Ie. If you place an order on Thursday evening you next possible order delivery day will be Tuesday and cooked on the Monday. 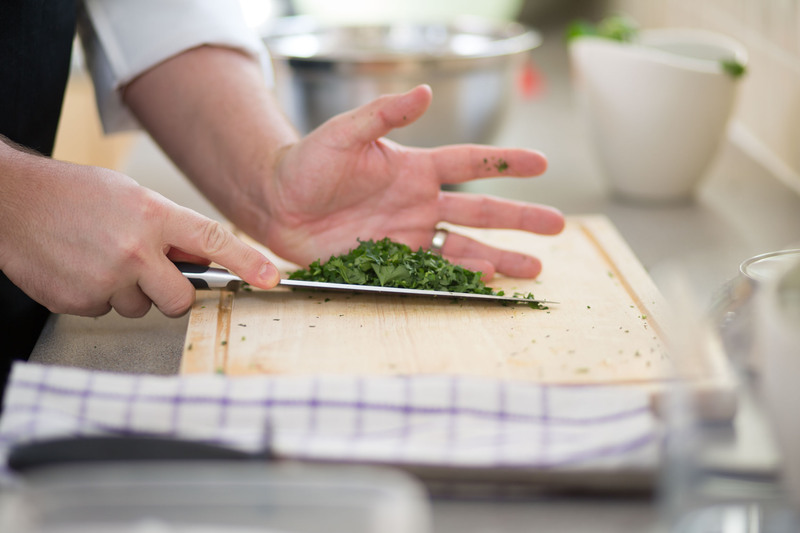 My cookery classes tend to be for 2-3 hours and are very engaging. I offer many different types from cookery classes. 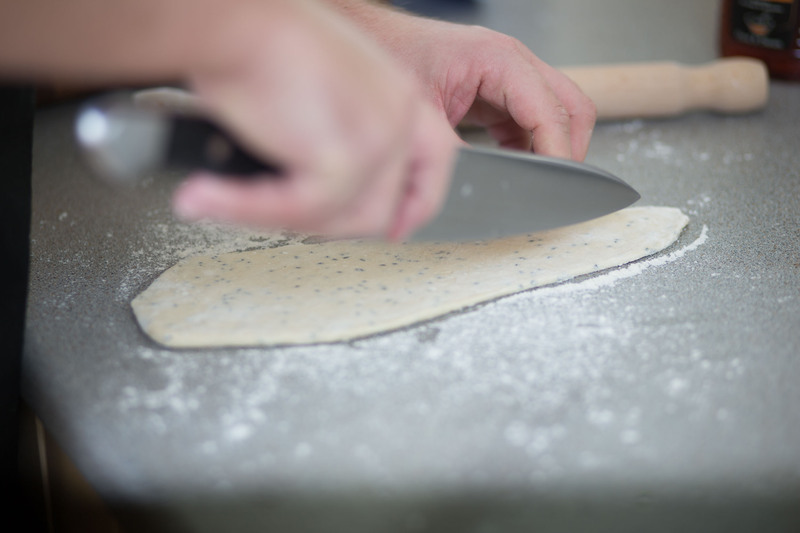 From cooking along with me for your evening dinner to teaching how to make fresh pasta one on one or in home, you would also then make a sauce and create a meal from our session for your own family in the evening. I will also offer group sessions or couples workshops who want to have an experience night. Contact me to find out more let me know how Chef James at Home can suit you. I will then collate a databank of requests in order to pair for larger groups in the meantime dependant on interest I will look at having a fixed venue for the cookery workshops for big events. Is there anything better in the world than the smell of freshly made bread?! Well for me, making bread comes close! 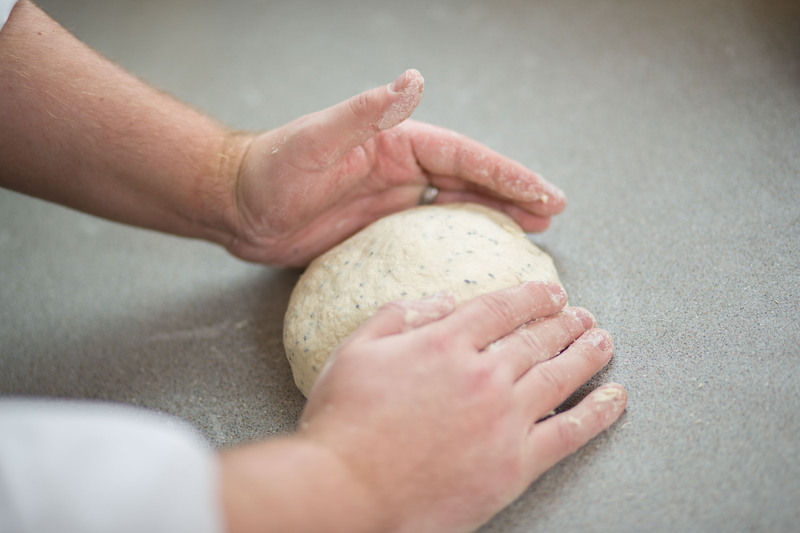 Try my homemade world breads to accompany your meal. This one is the onion seed and coriander flatbread which is brilliant with Middle Eastern or Persian food. 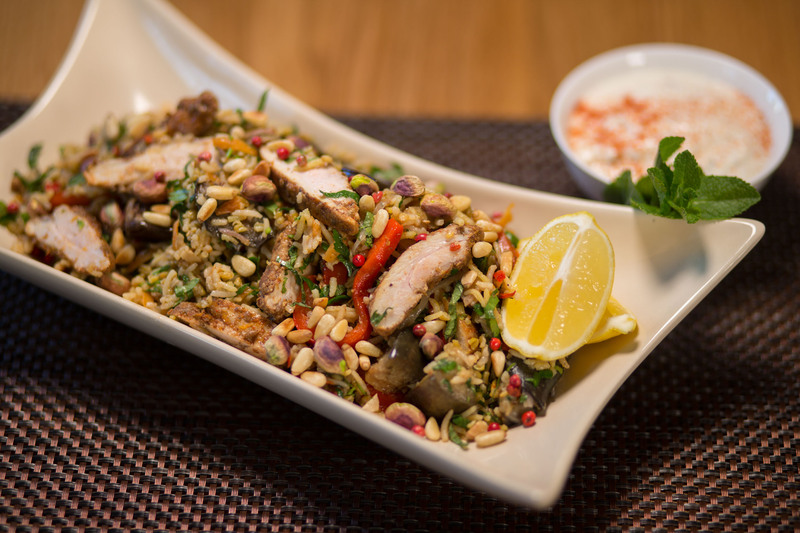 Fantastic used to stuff full with slow cooked meat and pilaff rice topped with mint and tahini yoghurt! My flatbreads are made using 0% fat free Natural yoghurt to! Made to order. I’ve already told you a bit about my background and I don’t want to go on too much you but if you are interested here is a little more information. I was trained at one of the best chef’s schools in the UK. 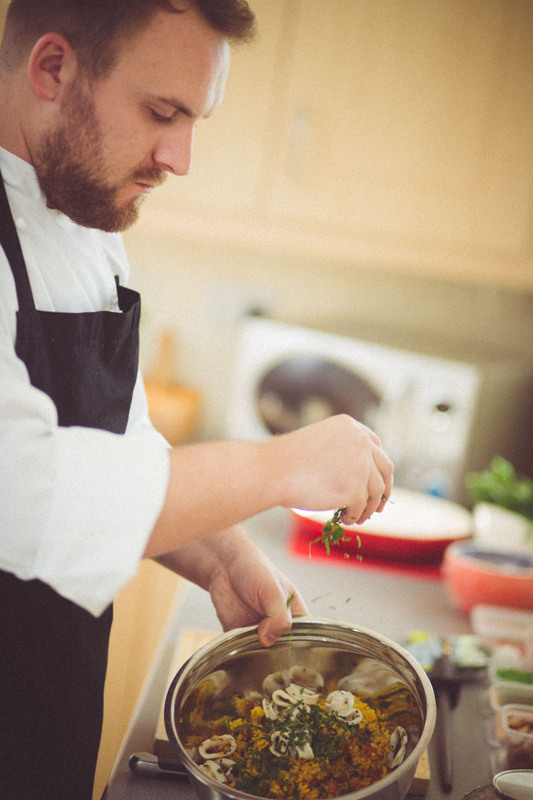 I’ve told you about some of my time in restaurants, however, I have also spent around 10 years learning about Indian, Thai, Chinese, Italian and Middle Eastern cookery, to name a few, by working alongside some amazing chefs from those regions. 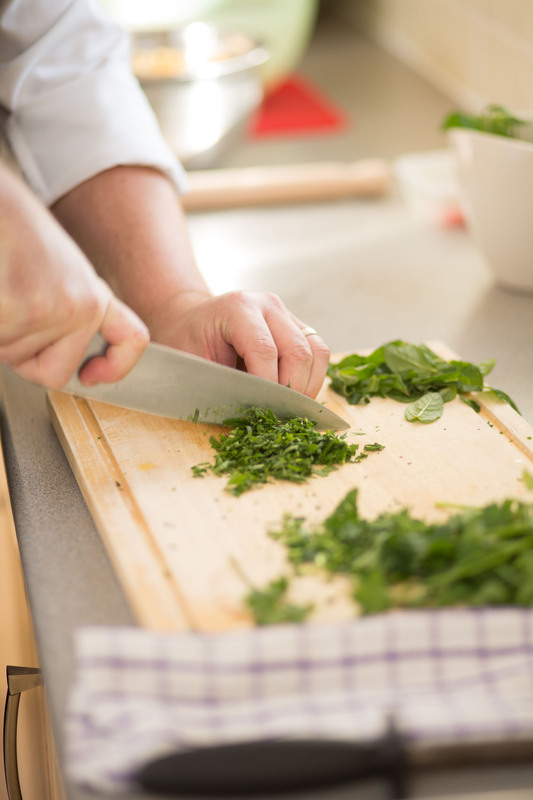 I would describe my cookery style as fresh, clean with bold flavours which looks visually stunning and vibrant. I believe in great modern authentic food which is not heavy and doesn’t contain unnecessary fats or salt. I will be supporting local produce, whilst utilising every part of the ingredient. 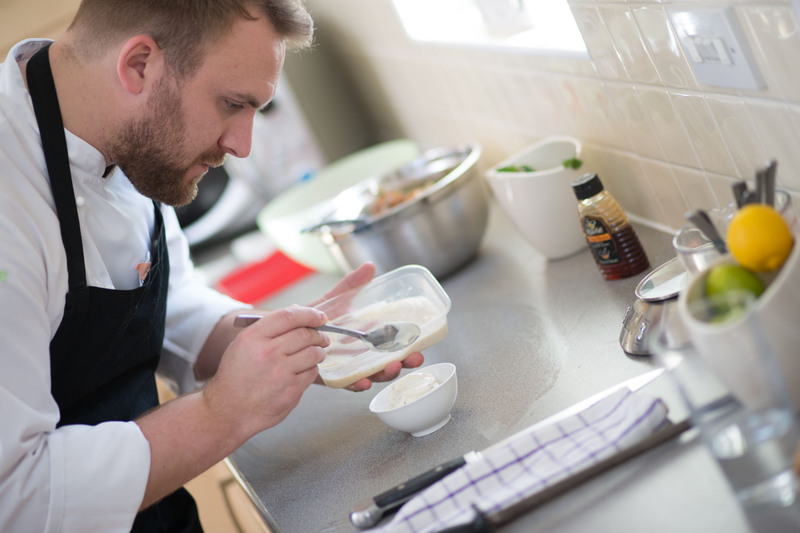 I am incredibly conscious of food waste and I work hard to extract maximum flavour from each and every ingredient I use; combining them to work in harmony with each other. I think the producer’s hard work should be honoured and respected. I work with textures and flavours to excite the palate with each and every mouthful. ChefJames is coming soon to the South of Peterborough area including Hampton, Cardea, Yaxley and Stilton. Leave your details with us and we'll let you know when we launch! ChefJames is coming soon to the South of Peterborough, area including Hampton, Cardea, Yaxley and Stilton.